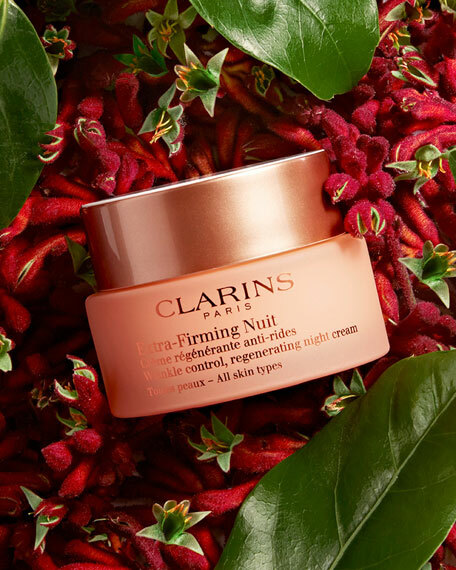 A night cream that provides a complete firming action thanks to kangaroo flower extracta new plant discovery, known for its regenerating power, to visibly lift and minimize wrinkles. Enriched with extract of hydrated silica of moonstone, this silky moisturizer works overnight for renewed and youthful-looking skin by morning. A blend of natural botanicals from around the world (5 of which are organic) offer powerful firming, lifting, and radiance-boosting results. 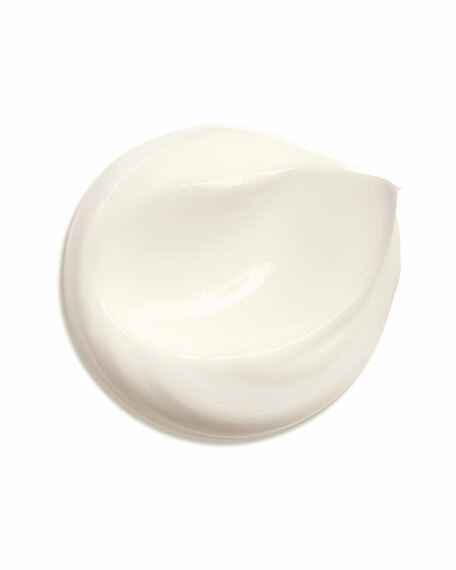 Australian Kangaroo flower extract, with strong regenerating capacity, along with organic mitracarpus, visibly improve skin's elasticity and firmness. Organic leaf of life plus shea oil hydrate and comfort skin, while organic desert date extract targets dark spots for an even skin tone. 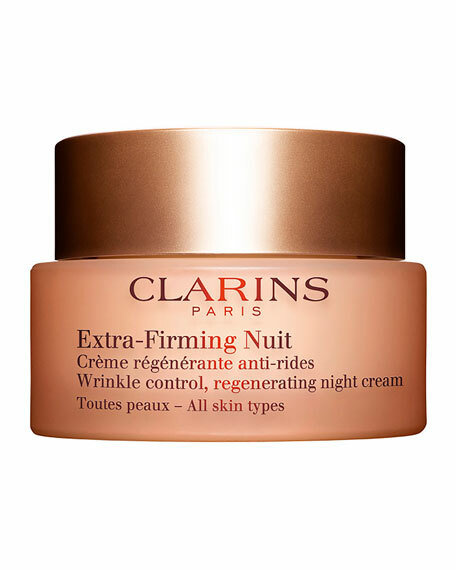 The formula also offers protection with Clarins' anti-pollution complex to shield skin against environmental aggressors. 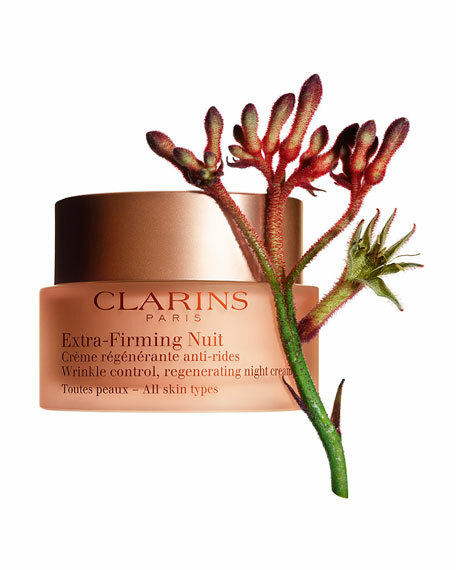 • Apply at night after Serum using the Clarins Method for Face to boost microcirculation and encourage lymphatic drainage. 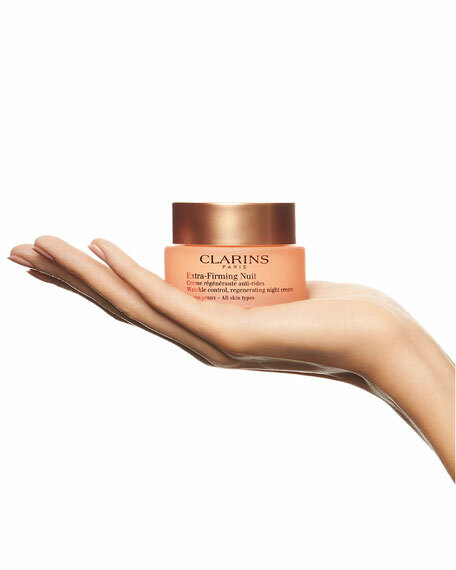 Warm product in palms; then gently place on cheeks, forehead, neck and décolleté.